This is a mother-in-law's cake in more ways than one. It's the cake I always make for mine - she only likes fairly plain cakes, and she isn't supposed to have much in the way of sugar anyway, as she's diabetic. I only make it for her occasionally - any more and I feel as though I'm feeding a habit. 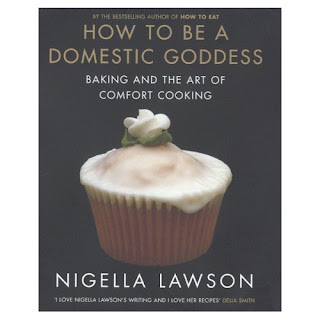 The recipe I usually use is in Nigella's Domestic Goddess, and is her own mother-in-law's cake. I am not one of Nigella Lawson's detractors. I think for the most part, her books are excellent - I loved How to Eat when it came out, have baked my way through Domestic Goddess and have recently raved about Kitchen - I couldn't watch the TV programme but the book - I loved it from all the advice on kitting out a kitchen (especially the her Kitchen Hall of Shame) to the totally inauthentic dishes she makes (I have no problem with this, being someone who can take pot luck with a label-less something from the freezer and consequently end up eating mutton curry with pasta and cheddar cheese). I was not so keen about the premise behind Forever Summer (strawberries in winter, natch) or her silly comments about "saving your sanity or the environment" which she fortunately readdressed in Feast. Anyway, back to the recipe, which is an absolute cinch to make. Cream together 240g butter, 200g caster sugar and the zest of one lemon. Gradually beat in 3 eggs along with 300g self raising flour. Add the juice from the lemon - you should have a fairly stiff dropping consistency. Put into a lined loaf tin, sprinkle with a couple of tbsp caster sugar, and bake in an oven, pre-heated to 170C for approximately one hour. Simple. You can of course change the flavourings. Caraway or poppy seed work very well - I recently made an orange and rosemary version which was lovely and will definitely be made again. The only issue with the Nigella recipe, is that she specifies using a 450g loaf tin which is too small - I use a 900g/2lb tin. 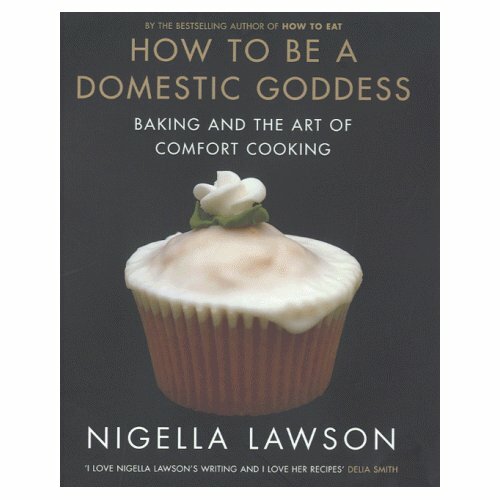 One of my favourite cake recipes from this book is the Store-Cupboard Chocolate-Orange cake. It is a beautiful, moist chocolate cake whose sweetness is mitigated by the home-made marmalade I put in it, when I can spare it. I adore Nigella and she is the true Domestic Goddess's shining light. The cake looks fairly simple. Wonder if you had a photograph to post too. No photos - it went straight to MIL whilst still warm. I will get around to photographing my food eventually, but at the moment, my pictures just aren't good enough.